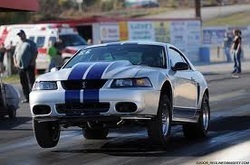 We have access to all genuine and after market high performance parts for many makes and models. Quinton Automatics have been building performance transmissions for over 30 years and we know what it takes to make a transmission and torque converter hold together when being pushed to the limit. Hi-stall converters, full manual valvebodies and high horsepower applications can all be arranged. Heavy duty street applications and Saturday night specials - no worries. Outstanding, quality parts used - Raybestos, Sonnax, B&M, TCI, Alto, NOK, Transtech and many more. Hot Rods and Restos are a common sight at Quinton Automatics. We enjoy nothing more than cleaning and even polishing a case to pefection, rebuilding the unit then carefully and perfectly installing it into a rod, custom or resto. The most popular rod transmissions being GM Turbo 400 and Turbo 350, Ford C4, C9, C10, C6 and Chrysler Torqueflite 904 and 727. B&M, Lokar, Hurst and many other after market supplies available. 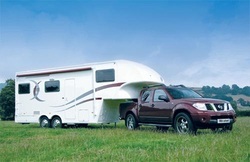 Towing a caravan, boat, heavy trailer or big loads in a commercial vehicle all add to the heat generated inside an automatic transmission and this excessive heat will dramatically shorten its life. All automatic transmissions can benefit from the fitment of an external cooler but if you are towing it is an absolute must! 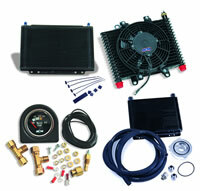 We use and recommend Drivetech Crossflow coolers and cooler kits. They are made in Canada and are the best coolers that we can find in the world. Beware of cheap Chinese coolers. Cooler kits are designed to keep critical transmission temperatures under control at all times, even when you are asking them to work hard by towing. Without one of these external air coolers, you are merely relying on the hot radiator fluid to maintain acceptable temp levels when the going gets tough. Cheap Chinese coolers can split and some have been known to restrict fluid flow which results in poor lubrication to the transmission and torque converter. A quality cooler will last the life of the vehicle and will never harm and only ever help your transmission. In many cases, they can even be removed when the vehicle is sold and used on your next pride and joy.